Jacqueline Kolosov is the recipient of the Elizabeth Sloan Tyler Memorial Award for the Literary. 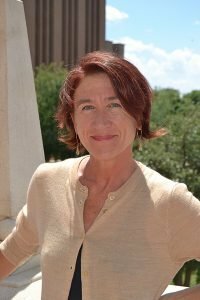 She is a professor of English at Texas Tech University, where she directs both the undergraduate and graduate creative writing programs, and works in fiction, nonfiction, poetry, and in hybrid genres. 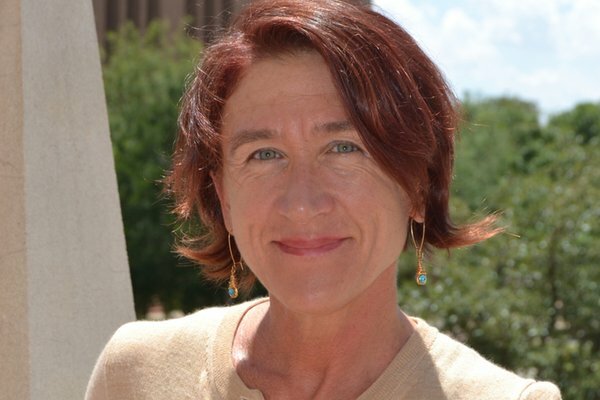 She has recently published work in Boulevard, The Southern Review, The Writer’s Chronicle, and The Sewanee Review. She is the recipient of a literature fellowship from the NEA; a residency at the Banff Centre; and a $47,000 grant from The CH Foundation to create the 2018 CH Foundation Arts for Healing Programming & Workshops, which will establish multi-modal arts programming with populations including at-risk teens, veterans, pediatric patients, palliative care patients, as well as their families, and the doctors, nurses, and staff who care for them. Smith: Hello, Jacqueline, congratulations! And thank you for agreeing to answer a few questions. To start, I’d like to know a bit more about your winning story, “Exit, Pursued by Bear.” In your November WTP Winner’s spotlight, you talk about how the story developed from a real-life character inspiration, Agnes von Kurowsky. I’d love to know a bit more about this spark of inspiration, this process; how did a WWI nurse develop into the Agnes of the story? Smith: The story focuses on the relationship of two characters who met in a Shakespeare seminar, and it contains frequent allusions to and quotes from the Bard. I’d like to hear about your own relationship to Shakespeare. Does this subject matter come from a place of personal familiarity? Besides The Winter’s Tale, are some of your favorite works from Shakespeare? If so, why? Kolosov: I teach Creative Writing and Literature at Texas Tech. Most of our faculty offices are clustered in areas by specialization. Somehow, perhaps I even had a choice of office, I live alongside the Early British faculty, which includes a Shakespeare specialist, a Miltonist who teaches Shakespeare, a Medievalist, and a professor of Old English who can recite Beowulf by heart. And yes, my immediate neighbor’s area is eighteenth century, as in Austen and the other great prose writers. There’s a particular rightness to my office’s situation, I think, given that I wrote my Master’s Thesis at the University of Chicago in Renaissance Drama under the direction of David Bevington. Although I believe almost anything in human experience abides in Shakespeare and wrote several essays on his plays, including one of The Winter’s Tale and a published essay on King Lear, I wrote my thesis on Webster’s terrifying Duchess of Malfi. But I digress. 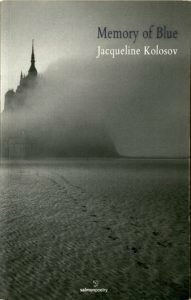 I have lived with Shakespeare for many years, beginning I suppose with Hamlet in high school, though Shakespeare did not speak to me until my sophomore year at the University of Chicago. As for other plays that I love, there is Lear, which resonates too too terribly on our planet today—“Is man no more than this?” “Poor Tom’s a cold.” Every time I read that play—I have never seen it performed, astonishingly—I wait for Cordelia to be saved. I want to believe she will be. Lear almost goes beyond tragedy. It’s existential, the crises of that play. I am not enamored of the other tragedies. I love A Midsummer Night’s Dream, of course, and I sat in the twentieth row when Kenneth Branagh and Emma Thompson performed it in Chicago what seems like a lifetime ago. I like to think of myself as Puck, I suppose. The Tempest is an incredible play. It is no wonder that so many colonized and oppressed peoples see echoes of themselves in Caliban, though he epitomizes, too, the natural world, all the ways in which we have ravaged what we should cherish. For a while, I wanted to be Henry V, probably because I liked the young Kenneth Branagh in the role, but my favorite plays are probably the romances. I love Pericles, and I probably love T.S. Eliot’s “Marina” even more than the play, though the poem could not exist without the play. Macbeth is a favorite for many, but I have never connected with it. Twelfth Night, too, is absolutely delicious and oh so clever and funny. Our world needs Twelfth Night right now and so many of the comedies and especially the romances. Darling Will. Of course I love the sonnets too, though my first allegiance lies with the plays. Smith: In a way, “Exit, Pursued by Bear” is about tragedy, but it’s also a story about how tragedy can develop into a happy ending, into a “romance” in the Shakespearean sense. It makes me think about how we try to shape our own life narratives into neat arcs, how it rarely fits. My question: do you personally tend to view life as tragedy? Comedy? Romance? Something else? Why or why not? Kolosov: This is a very provocative question, thank you for it. I have, for many years, taught Greg Orr’s book, Poetry as Survival, which takes Frost’s statement—a poem is a momentary stay against disorder—further. Poetry, lyric poetry in particular, gives chaotic experience a shape. It does not necessarily change the outcome—the violent death of a brother in a hunting accident; the delivery of twins, the knowledge that only one will survive. All art gives chaos a shape, a structure, a container, and that enables us to survive. I see that now in my research about the ways in which people are creating art within Syria and in the refugee camps. Art sustains. It is therapeutic, yes, but beyond that, it enables the individual and the collective to maintain or reconstitute identity. No, I don’t view life as a tragedy. How would I wake up in the morning? One of the most important movie moments of all time took place when I had just relocated to New York for graduate school, and I was living in a really awful apartment, at least by my standards. My upstairs neighbors blasted movies at all hours and shouted. When I asked them to be quiet, please—I was twenty-four—they rolled out a list of expletives that might have well been bullets. Back then. I broke the lease. But first I got very depressed. And so I watched Annie Hall, intuiting perhaps that Woody Allen had something for me then. There’s his monologue at the beginning in which he bemoans all that is wrong with this life, and then he turns it all on its head by saying, “And the worst part of it is, it’s all over so quickly.” I laughed. Really hard. And then I went for a walk. And shortly after that, I adopted a dog, Sasha, from the ASPCA. I ran into Woody Allen two times after that, and I wanted to tell him about his impact on me, but of course I did nothing of the kind. He did not walk around looking like he wanted to be flagged down by some skinny, twenty-something graduate student (or by anybody). Life is a journey. It’s not about the destination, but about the movement. I learned that, viscerally when I spent four weeks walking the Camino of Santiago just after the most important relationship of my life, by that point, ended. I’ve come to realize, or at least to believe, that we cannot expect or hope for “an easy life,” whether easy is “happy” or “affluent,” or x. All we can expect is change, and hopefully to grow from experience. I rely on a good many writers and other artists to help me along the way. Smith: The way Shakespeare’s work gives voice and shape to the more difficult parts of Agnes’s life is a perfect example of the way poetry speaks to us. Who are some other poets and writers that have spoken to you? From whom do you draw artistic inspiration? Smith: Your dialogue really shines in this piece. It’s both featherlight and packed with quiet meaning, and, at times, full of tension. Is this something that comes naturally to you? 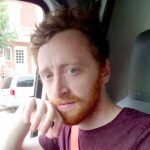 I’m a writer that can’t write good dialogue to save his life; what advice could you offer? Smith: Some of your work could be genre-classified as historical fiction. What time periods do you specialize in, and where did your interest in these particular time periods come from? Kolosov: My parents are European, and my paternal grandmother was and my father is steeped in history, specifically the Czarist Russia, the Russian Revolution, and the two world wars that followed, not to mention several countries and two continents. My mother, too, had a tumultuous growing up, though she is quieter about the past, or at least her family stories are not as dramatic or volatile. So I grew up living with history and with lost worlds. The rings my grandmother gave to me had once been buried in a garden to escape the plunder of soldiers. The photograph of my dad’s half sister, Galena, sits in his study. In it, she is perpetually twenty-nine or thirty, an architect and a classical pianist. She died in a bombing in Munich during World War II. That said, I have not written, not much, about my Russian ancestry, with the exception of one story entitled “Almost a Fairy Tale.” At some point, I will. I wrote two novels, for teens, or at least cross-over novels, set in Elizabethan England. Yes, I studied the English Renaissance, but my passion for the period stemmed from a particular woman. While I admired Elizabeth, I adored her stepmother, Katherine Parr, Henry VIII’s last wife. It’s little known that Katherine, who was superbly educated, provided a role model for monarchy and womanhood for the young Elizabeth. Yet Katherine always wanted a child of her own. Prior to her marriage to the very fat, very dissolute Henry, she’d been married off to two older men, both of them widowers with children. After Henry VIII died, she imprudently—yes, that’s the right word—married Thomas Seymour, a gorgeous but not terribly politic courtier. She gave birth to a daughter, Mary, but Katherine Parr never lived more than a week beyond her daughter’s birth. She died of puerperal fever (caused by a doctor’s unclean hands). And Thomas got himself executed after trying to kidnap the young Prince Edward and in the process shooting the boy’s dog. So Mary Seymour was left an orphan, and she likely did not grow up. Except for in my novel. Hyperion had big expectations for that novel, so I wrote an ending that would allow for a sequel. Except the editor left for another house, and two more editors and a lot of internal change happened, and in the process another Renaissance novel—one I loved, yes, but was not invested in as I was in the first—got lost in the shuffle. Alas. If I were to write a novel today, a historical novel, I would probably seek out one in which the political or historical events speak strongly to what is most problematic in our world today. That said, I am too busy—my time too fractured—to attend to that now. Maybe when my daughter starts high school. Smith: You’re not only a short storyist but a poet and young adult novelist as well. How does your writing process differ between these modes? Does it differ? Which do you view as your “home base,” your primary medium? Kolosov: Young adult fiction is not my primary medium. 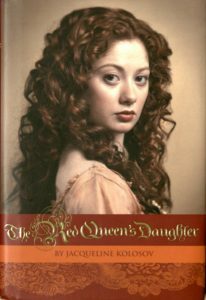 The first novel I wrote, or at least the one that drew acclaim, was The Red Queen’s Daughter, which focuses on Mary Seymour. I had to tell that story, but I did not write it for teens. Rather, when the time came to find an agent, I decided—with the very wise counsel of a former student—to pitch it as YA. Which I did. A Sweet Disorder and the two others that followed grew out of the ways in which publishing begins to see a writer fulfilling a niche. At this point, when I write another novel, I will likely not write for teens. I will tell the story that I need to tell, but I know, somehow, that the audience will be very different. Poetry is more meditative. The silence is more necessary, not that I need to be in a closed room, but I need to cultivate or to listen for words and for rhythms and yes, for silences. Perhaps some of my strength as a prose writer derives from that. I began Memory of Blue, for example, while I was pregnant with my daughter, Sophia, who will be eleven in January. I have always considered myself a patient person, but as the second trimester became the third, I became increasingly eager to meet her. Meanwhile my body was slowing down. To cherish and really be present during those late autumn and early winter months of November and December, I wrote poems directly to her. One is “Rereading The Velveteen Rabbit,” one of my most beloved children’s books, and a story that asks and embodies the question: what does it mean to become real?—a question I myself was asking. Another poem dealt with the preparation for childbirth, and I was honored to learn, later, that a practitioner of childbirth classes in Canada used the poem to teach breathing! Memory of Blue is ultimately a meditation on impending motherhood, and the first two years of my daughter’s life, but it’s equally a book about memory and the ways in which memory is embodied. While writing the book, I stumbled upon an extraordinary book about the history of colors, as in oil paints. I learned where cadmium red came from, as well as the blue (lapis lazuli) found in the religious paintings of the High Renaissance. In writing a series of poems about particular colors, then, I wanted to embed the history of that color—where lapis lazuli was mined, for example, or the fact that cadmium red was made from the carapaces of female scarabs. Much of my writing, more recently, could be characterized as “hybrid,” though that’s really a publishing term, a category. Dickinson’s writing was hybrid; so was H.D.’s. I suppose writing that is not strictly delineated by genre is where I am most at home. A particular piece suggests a shape, and sometimes that shape leads to another. Smith: You’re also a professor of writing, and in that WTP spotlight mention how crucial is the process of revision. How much do yourself actually revise—for instance in the case of this story? Kolosov: I revise a great deal. That was not the case ten years ago, but it’s increasingly the case now. Revision, for me, often means making big cuts from a story and sometimes moving pieces around, or writing whole new sections based on those cuts. I am not great at archiving my material. I think archives, my own anyway, scare me. I love to look at other people’s archives, but I am neither highly organized nor wedded to keeping a lot of earlier drafts. I can say that I drafted “Exit, Pursued by Bear” while I was away in New Mexico for a week. I drafted it, and I probably revised it at least once during that concentrated period of time. The story itself continued to undergo revision over the next two years. I don’t believe the fundamental shape changed much in this case, however. “Exit…” is a gift, and I believe part of that stems from my intense relationship with The Winter’s Tale, and the rightness of evoking that play—particularly the element of transformation—in the lives of Peter and Agnes. Smith: I’d love to hear what kind of projects you’re working on now. What’s next? I am in the midst of finalizing a fourth collection of poems, “How Close the Body Comes to Growing Wings.” The poetry has more of a global reach than my other collections, though that’s probably not saying it right. Several of the poems engage what is happening on the planet, in Syria, but also in West Texas. I’m speaking of the annihilation of ecosystems and the vanishing of species. And of course our current president figures in one poem, along with Wonder Bread and mining catastrophes. But much of the collection is also about horses, who increasingly energize and sustain my life. I am not sure how long the revision here will take. A poet read the collection and offered some invaluable feedback that I will live with. One central question involves her uncertainty re. the “you” to whom the speaker is speaking. She thinks it is one “you,” and to a large extent that’s true. So, I need to find a way to bring that presence more cohesively into the collection. I believe the “you” was there in an earlier incarnation, but this collection evolved over five years. Over the summer I began what might be a novella about two sisters, both of them in their late teens, who are struggling, one with mental illness, the other with being the responsible one in a family where parents are often absent. The novella opens in the aftermath of a riding accident. 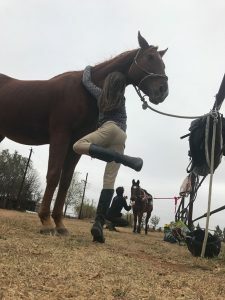 The sisters’ mother was a competitive jumper and highly accomplished equestrian, and her death is mysterious and raises the question: was it suicide. I suppose this story is enabling me to explore some of my Russian ancestry, as my father’s ancestors were accomplished riders, and I bring their stories into the novel via the maternal grandfather who arrives in the aftermath of the accident. More manageably, I would like to write an essay, possibly a chapbook-length or even book-length essay, around a topic or even a word that carries a great deal of resonance and a multiplicity of possible meanings. Right now, I am thinking that “dragons,” “tolerance,” and a particular color might be contenders. Of course, Maggie Nelson wrote Bluets, but what I envision is not along the lines of Maggie Nelson. I saw an engraving that said “Educate to Teach Tolerance” on my campus the other day, and it struck me as a ridiculous reason for education. “Educate to Understand,” I wanted to say. Or, I want to say. And I probably will. I have enjoyed and am inspired by every thought in this generous interview, which I intend to revisit. Thank you, August Smith, for your stirring questions – and congratulations, Jacqueline Kolosov, on being the winner of the Elizabeth Sloan Tyler Memorial Award.